I’m going through the factions in the reverse order that I did the models, earlier, so Outcasts are up next. Warning: I make a lot of mistakes when theorizing what is good and what isn’t when I’m talking about factions I actually play. The Outcasts, on the other hand, I don’t play at all. So, I’ll do my best, but expect me to be wrong…frequently. But before that happens, did I mention that Malifaux Musings is on Patreon now? What's Patreon you ask? It's a way for people like you who are entertained by content creators like me to support our efforts. You sign up for a monthly donation to the pool and, if enough people jump in, it unlocks bonus stuff in the future. For instance, I want to introduce a monthly raffle for some limited edition models that we have lying around in the MM warehouse for my Patrons. I'm not asking for a ton of money from any individual, either. Have you got $1 every month? I'll take it! So go to our Patreon page and donate! And if you put your money in while I'm doing these articles, I can certainly be convinced to do my review of your faction first ;). His first upgrade, Oath of the Freikorps, introduces the ability for V.S. crews to manipulate the Oathkeeper upgrade. Any model in the crew with the Upgrade attached gets a positive flip to duels against anything Von Schill damages with his attacks. Pretty sweet, but the real power of Oathkeeper comes from discarding it to gain fast. So, does this upgrade become useless later in the game? Not so much, because V.S. also gains a 1 ap Tactical Action to attach Oathkeeper to a Friekorps model within 12” of him as long as there are less than 2 of them in the crew at the time. Even without the plus flips, this Upgrade would probably be useful for reattaching one of the best generic upgrades in the game. A plus to all duels is almost like icing on the cake. Nythera Aftermath is more designed to make V.S. an individual badass. Target Practice lets him take a shot with his gun against an enemy that places within 6” of him with a plus flip to the attack. Probably the most useful part of the upgrade is Practiced Ambidexterity that lets him take the attacks from a charge against separate targets. And, finally, it gives him an attack with his new robot arm that does a small amount of damage but lets V.S. knock the model 6” away from him after damaging. I don’t know V.S. well enough to say if this makes him a strong beater (or significantly stronger than he already is.) I think the first upgrade will be more universally useful. Ah, Tara. The master I’m probably least likely to ever want to play. Surely they didn’t keep going with this “no control hand” thing, did they? *reads Out of Time. * Oh, well, n/m. Out of Time gives her a + to all flips when Tara has no cards in hand, so likely in her reactivation at the end of the turn rather than at the beginning. It changes the 2 AP Void Maw action into a 1 AP action, allowing for them to do a bit better job of chewing up buried models. Finally, I’m at least intrigued by The Clock is Ticking, a new 1 AP attack action. It’s Ca 7 (Tome) and range 6. It does automatic damage, which I like (the fewer card flips, the better) equal to the turn number, and a built in Tomes trigger heals Tara for the same amount. You can only take the action once per turn, but I still think it could be useful, assuming Tara is still alive in the later turns of the game. Emptiness is a bit more interesting. It’s a 0 cost upgrade that allows her to ignore the upgrade limit for any upgrade cards that are specifically for Tara (is it ironic that the Nothingness crew gets to attach the most upgrades? Possibly…) You may not want all of her upgrades in the game, necessarily, but even a junk one can be discarded later in the game to draw cards equal to the soulstone cost, turning running a Tara crew away from the “dump your hand” game and changing it to “manage the number of cards in your hand to match the situation.” Dump cards until your opponent’s beaters activate, then build it back up? I don’t know. In any case, Out of Time and Emptiness don’t really jive with each other, so that’s weird too. Did I mention Tara’s not my cup of tea? The Soaring Dragon improves the Viktoria crew’s ability to play a hit-and-run game. It can be attached to either Vik and allows that one to start the game buried. All friendly Sister models gain a 0 action to unbury a friendly sister and place them in base to base. They aren’t able to chain activate, so you’ll either want to bring them out somewhere safe or make sure you have activation control before you do it, but it can provide some interesting mobility. I don’t know that you would always want to start buried, since you can’t come back until turn 2. Instead, I think you’d want to do the standard Viktoria slingshot, throwing the model with this upgrade forward. After it kills a target you can discard 2 cards and bury her, improving her survivability significantly and making the Viks less all-or-nothing. Of course, it also means you could maybe do the slingshot multiple times in the same game, which would be unpleasant for the opponents one would think. 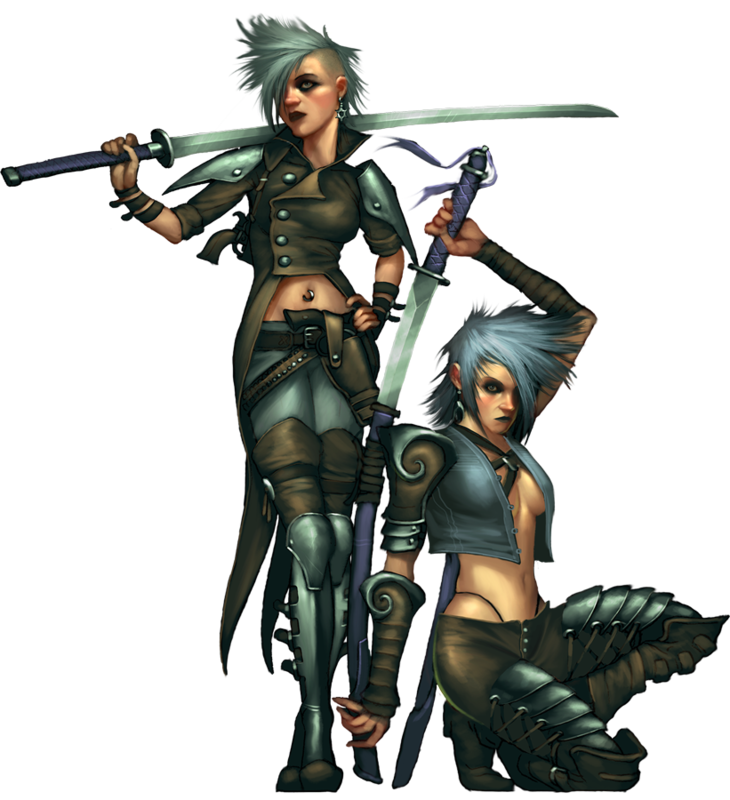 Sisterly Bonds is less about improving their offense and maybe giving the crew a bit more survivability. 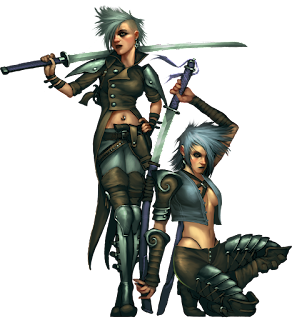 Any sister model heals 1/2/3 damage whenever they gain a condition from an enemy model, which is situational at best. Viktoria of Ashes can also use a 0 action to give a minion within 6” the Sister characteristic until the end of the turn. I’m sure this opens up some interesting interactions with the rest of the crew gaining synergy buffs, but I don’t know what they are. This one doesn’t seem as useful, to me. Which probably means it’s game breaking and I’m just not seeing it. Growing Injustice allows the Daw crew to exchange Guilty models for Cursed Upgrades, and vice-versa. Every time a Guilty model dies, you can attach a Curse that isn’t currently in play to Jack Daw. 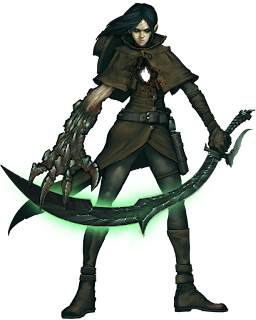 Then, if an enemy Tormented model dies with a Curse upgrade attached, you can summon a Guilty off of them first. Lather, rinse, repeat. Any time summoning is involved the potential for strength is there, but this is another very conditional summon. However, the fact that it doesn’t really require any resources from the Daw player other than playing Guilty means there is at least potential for this to happen incidentally. Cursed Life is a bit simpler. Whenever he attaches an upgrade to something, heal a point of damage. Whenever a model with a curse on it dies, draw a card. Simple as that. These abilities are good, but as I understand it upgrade slots are at a premium for Jack Daw. Time will tell if these benefits are good enough to warrant a slot. 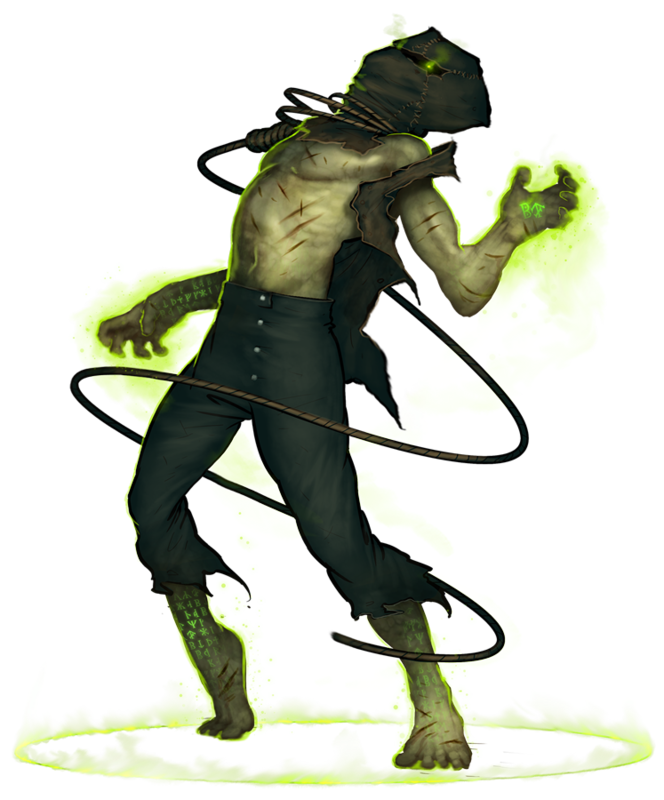 Hamelin’s first upgrade is Plague Pits, invoking the idea of the pits of dead bodies that the Guild had to create in Malifaux after the first outbreak of Piper’s Plague in Book…2? 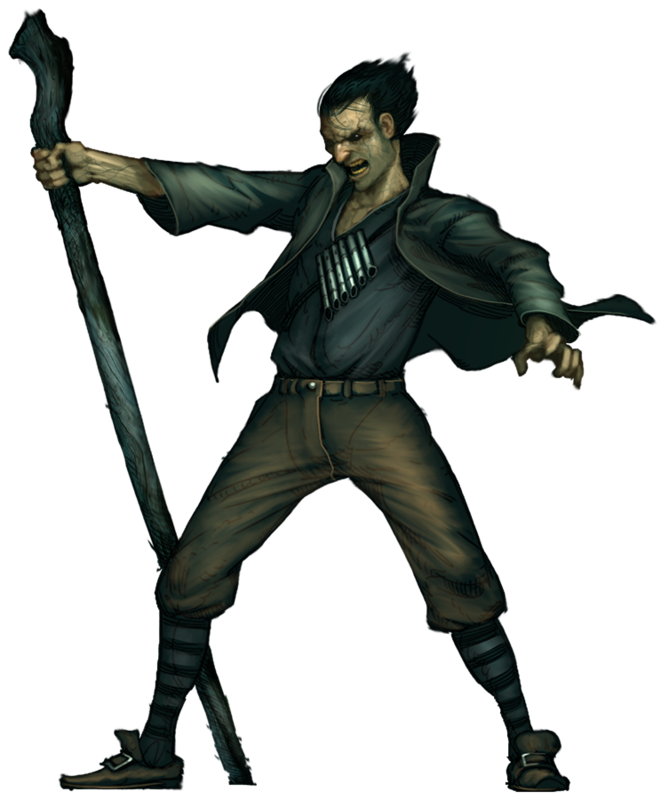 of Malifaux First Edition. After both crews are deployed, the Hamelin crew deploys a trio of 50mm Ht. 0 markers anywhere on the board that’s at least 3” away from the opponent’s deployment zone. Enemies that begin their activation or end an action within 3” of a pit marker gain Blighted +1. An enemy in base contact can choose to take a 1 AP Interact and discard a card to remove the markers, but they’ll gain at least one Blighted in the process. Finally, at the end of the turn Hamelin gets to move one of the markers up to 6” at the cost of one of his cards. Based on how these sorts of abilities have worked out in the past, they’ll be most useful defensively to try and restrict enemy movement. The fact that the enemy can send a throw-away model and spend a card to get rid of it gives me pause, but sometimes one activation can make the difference in a win or a loss. And my impression of Hamelin crews has always been that they win by stacking up these little hindrances until they snowball out of control and kill you. Useful Vermin is maybe a bit more universally…useful. Essentially it lets Hamelin turn two Malifaux Rats in line of sight into Scheme Markers at the beginning of the turn. Seems good. Not much to add. One of the methods of targeting Levi is to kill off his Hollow Waifs. This is often easier said than done, as he has a pretty strong incentive not to let you do that. If you can pull it off, however, he can’t get them back. That is, of course, until the Aether Shackles upgrade. It lets him spend 2 AP to summon one directly or, if there are enough scheme markers on the board within 8”, to get it out for 1 AP instead. Levi has to discard a card for each of the scheme markers, and there must be more of them than the number of Hollow Waifs on the board, but then you can ditch the scheme markers and summon the Waif. Oh, yeah, and it gives Levi a ranged ability to remove Scheme Markers. It seems like a good defensive upgrade, but I don’t know if the Waif summoning would be good enough to warrant an upgrade slot, given that most crews can’t go get the Waifs anyways. The scheme marker removal may put it over the top, however. Untimely Demise gives Levi the Desolation ability. Whenever he would be buried by the Pariah ability he does 2 damage to everything with pulse 3 of him. Anything killed by this damage summons an Abomination. You’re planning on dying anyways, so this could be a good way to get some decent incidental damage into your crew. The summoning can be set up with Levi’s attacks, but that’s a lot of work just to get an Abomination. Like the other wave 4 folks, Parker gets a pair of upgrades and a Conflux for the Emissary. 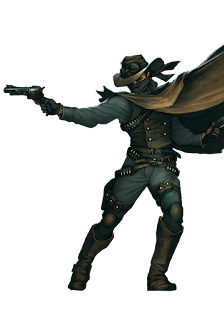 Reminiscent of the Clint Eastwood western A Fistful of Dollars, Hidden Steel Plate can be discarded to reduce the damage of an attack Parker takes by 2 and grant a + Ml and Sh actions for friendly Minion models within 8 when its discarded until the end of the turn. Alternatively, he can use a 0 to remove a condition from a model. If it isn’t a Bandit you have to discard the upgrade, but that will trigger the buff action as well. Badge of Office saw play once upon a time and this is in the same vein, but the fact that Parker can pull it out of his bag of tricks as needed improves it quite a bit. 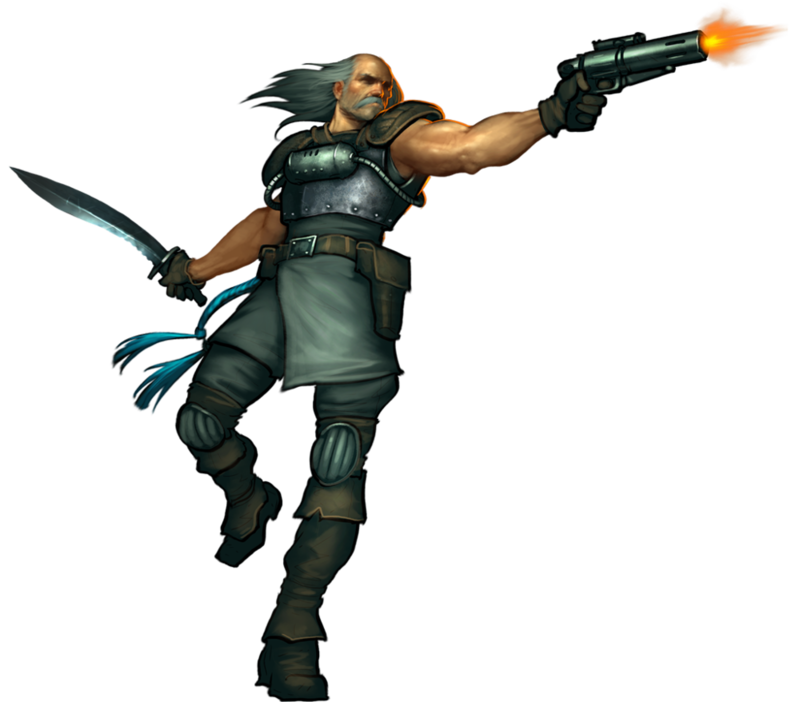 His other upgrade gives his shooting attacks a trigger to ignore armor with his pistol attacks, which is useful for him but not exactly lacking in a faction with the Viktorias. It also grants him a 1 AP ability to place a condition on a target called Dead Man Walking and discard the upgrade. This condition allows one opposing model to take a shooting attack at the model with the condition at the end of any activation where it takes a walk or charge action. 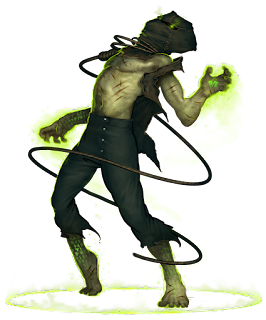 The model with the condition can discard a soulstone to parker’s cache to discard the condition, which Parker can then immediately discard to reattach the upgrade to himself. The soulstone tax could be significant, but it puts a lot of the power to choose in the opponent’s hands, which I don’t like. Many crews get by just fine with no stones, and/or the model with the condition can just hide or something to keep from getting shot. Might be interesting with somebody like Hans or a Friekorps trapper, and like all situational Parker upgrades you can always choose to use or not use it as needed, but I’m not sure it will end up being a staple. Finally, his conflux upgrade turns the emissary into a bandit, which should be helpful. He gains an ability to draw a card whenever he attaches one of his trinkets to a model, and it gains anew 0 action that discards an upgrade off of a friendly model to draw a card. If it’s a trinket, the model also drops an enemy scheme marker in base to base. I honestly have no idea how useful that is, but I’m sure when Phiasco builds a Parker crew and we play in the future I’ll realize why it’s good. For discussion of Misaki, go to the Ten Thunders article, please. Next up, we’re heading to the graveyard to do the Thriller Dance. It’s Rezzer time!